Take a Well deserved Night Off and Take Advantage of Parent's Night Out! Bring the kids in for our Parents Night Out, where they will spend the evening jumping, laughing and making new friends at Pump It Up! Bring their jammies and blankets for quiet time. 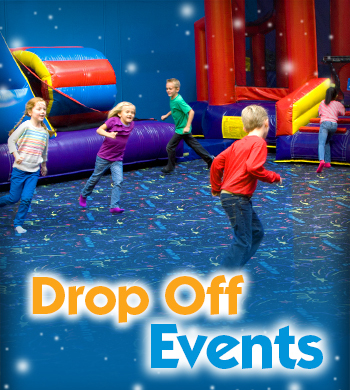 Admission includes jump time in our supervised arenas with interactive Pump It Up Team members, a delicious pizza dinner, and a fun craft to take home! Reservation Price $20 per child (Ages 3-12); $15 per sibling. Online Reservations are Suggested, Limited Space is Available! Child Admission: Sibling discount please contact store 301-577-7952. All Children that attend Parent's Night Out MUST Be Potty Trained! 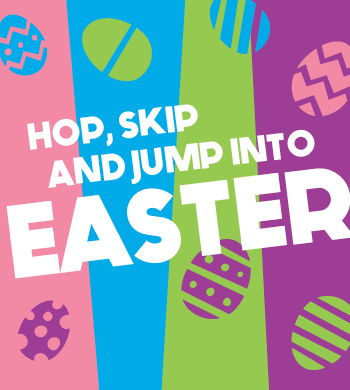 HOP IN FOR OUR 12TH ANNUAL EASTER EGG HUNT AT PUMP IT UP!! Adult Admission paid at door. No Refunds or Event time change. Easter Egg Hunt Will Start Promptly at the beginning of all Jumps! Don't forget your baskets to collect the eggs! Please Visit the Event Calendar to Register for your desired Easter Event! No Punch Cards, Jump Cards Or Groupon's Accepted! No punch passes will be accepted. No refunds or exchanges.